Punches are flying in and outside the ring at the amateur boxing world championships in Germany this week as a bitter power struggle rages for control of the historic Olympic sport. In one corner in Hamburg is Wu Ching-Kuo, the embattled Taiwanese president of ruling body the AIBA and an influential member of the International Olympic Committee. The opposite corner is crowded with the majority of the governing body's executive committee who have joined forces to establish a temporary administration. They are out to KO Wu, who has led the Lausanne-based AIBA since 2006. Wu's opponents want to oust him from power, and seize control of the organisation in what the current AIBA boss has compared to "a military coup". Their main gripe is that Wu has left the sport facing bankruptcy, placing the AIBA in peril. They claim the "AIBA is not in a position to repay" debts totalling 15 million Swiss francs (13 million euros). "Wrong!" says Wu, who contests that the AIBA's finances are in fact "healthy" with "16mn Swiss francs in the bank". The rebels, led by Italian Franco Falcinelli and Pat Fiacco of Canada, attempted to force through an urgent management shake-up in the Swiss courts. A ruling this month rejected their request, saying the matter would have to wait for a proper hearing in September. The legal action came after Wu's executive committee passed a motion of no-confidence in him at a meeting in Moscow in July. 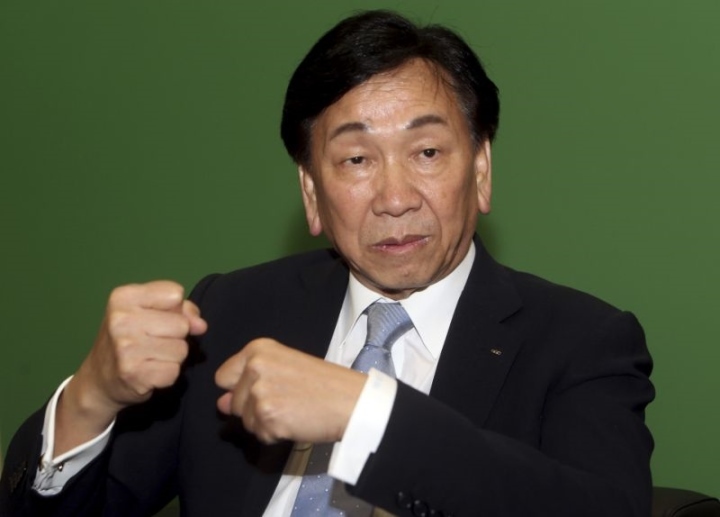 Wu claims he is being targeted because of his attempt to reform the AIBA and specifically singled out former executive director Ho Kim of South Korea for seeking "revenge" after his ousting over allegations of financial wrongdoing. Wu insists he is "the legitimate president" and said he had written to IOC chief Thomas Bach to explain the situation, pinning Ho as a main plotter. Bach was a noticeable absentee from the championships, all the more so with the event being held in his native Germany. The IOC explained that "the circumstances which AIBA currently faces are not the right environment for a visit of the IOC President to this year’s championships". Careful to avoid an accusation of taking sides in the internecine conflict, the IOC added: "Such a visit could be interpreted by either side as a statement of support". At Sunday's opening ceremony Wu's rivals met with international federation members who according to a statement were "surprised and concerned" about the AIBA's plight. Wu had a very different take, claiming "I received lots of support" from his talks with the federations. The disputing parties are set to clash again in the ring at an extraordinary congress scheduled for November. But here again it's a case of warring press releases. The provisional executive board have announced the congress will take place on November 12 in Dubai, while Wu says: "They've got no right to decide where the congress will be held, it's going to be in Lausanne." When Wu succeeded Pakistan's Anwar Chowdry 11 years ago at the helm of amateur boxing he set about cleaning up a sport associated at the time with questionable practices. "When Wu arrived it seemed as though things were going better. Under Chowdry there were some very dodgy dealings and it was known that medals could be bought at that time," confided an IOC member who wished to remain anonymous. "It's hard to understand the reasons for this current crisis. Has Wu been careless or too ambitious over investments? Or is it revenge of ousted former officials?" he added. Whatever the causes the AIBA feud is an embarrassment for the IOC at a time when in the wake of the crippling FIFA corruption scandal, it is pursuing widespread reform of international federations, with none more enshrined in the Olympic family than amateur boxing.